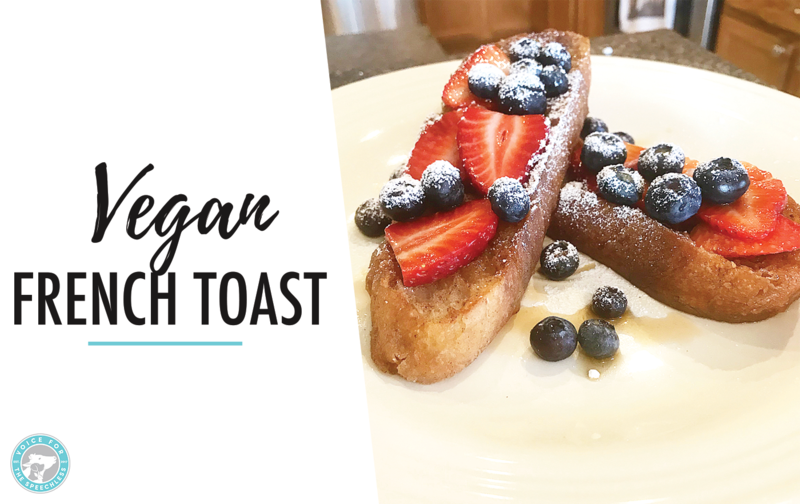 If you want the BEST recipe for French Toast… here it is! This was the FIRST vegan french toast recipe I found and I feel in love. It’s super easy to make and tastes just like the traditional version. In a small bowl, add almond milk, maple syrup, vanilla extract, flour, nutritional yeast, cinnamon, nutmeg and salt. Transfer to shallow dish and dip bread into mixture making sure to coat entire piece of bread. Heat coconut oil in large pan on low-medium heat. When the pan is hot, add the bread slices and cook for a few minutes per side, until golden brown. Serve with powdered sugar, vegan butter, maple syrup, and fresh fruit.